As an essential nutrient, vitamin C (ascorbic acid) protects the body against deficiencies in the immune system. The body needs regular doses of vitamin C for prevention against the development of common sickness and serious health problems. But most people don’t get enough of this important nutrient. When the body is low in vitamin C, its symptoms can manifest in many ways. 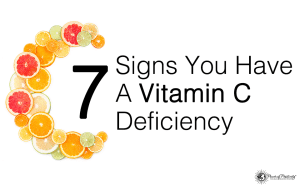 Take a look at some early signs that your body is deficient in vitamin C.
1. Your gums swell and bleed easily. Your teeth and gums need adequate amounts of vitamin C for optimum health. This nutrient strengthens the epithelium tissue, which is present all over the body. On the gums, the epithelium works as a barrier against bacteria that might cause dental diseases. If your body lacks vitamin C, your gums tend to swell, become inflamed, and bleed easily. Your gums could also recede. Low vitamin C has been linked to periodontitis, according to a study by the American Society for Microbiology. This disease leads to gum infection and damage that could cause tooth loss as well. 2. Your hair is dry with lots of split ends. What vitamin C your body takes in goes to the more important tissues and organs first before the nutrient makes its way to the hair. If your vitamin C levels, however, are less than ideal then your hair roots won’t be able to benefit as much as they need to. So, you end up having dry hair with split ends. Additionally, vitamin C aids in faster hair growth, as it helps the body absorb more iron. A deficiency, therefore, may not just slow down hair growth. It could also lead to hair loss. 3. You frequently have nosebleeds. Regular vitamin C intake lessens the fragility of the capillaries. Since the nose is lined with several of these small blood vessels closer to the skin’s surface, then the nose can be quite sensitive. If you experience frequent nosebleeds, you may have inadequate “C” levels in your system. A nosebleed, also known as epistaxis, is one of the symptoms of scurvy, or a condition that highlights the body’s ascorbic acid deficiency. 4. You have dry, rough, and red skin. Dry, rough, and red skin are also some indications that there is not enough ascorbic acid in your system. Your body needs vitamin C to synthesize with the skin’s collagen, so your skin remains in the pink of health. The lack of “C” might also lead to the development of a skin condition called keratosis pilaris. Although most common among young people, this condition can occur at any age. It is characterized by rough patches or tiny bumps that appear on the thighs, buttocks, upper arms, and cheeks. Keratosis pilaris can cause mild itching. While it doesn’t hurt and it’s not a serious condition, the sandpaper roughness could be uncomfortable. Moisturizers and lotions with vitamin components help treat dry skin and lessen the wrinkles. 5. You’re prone to bruising. Because your capillaries are weaker without vitamin C, a simple bump might result in instant bruising. Are there instances when you don’t know how you got your bruises on the thighs or arms? 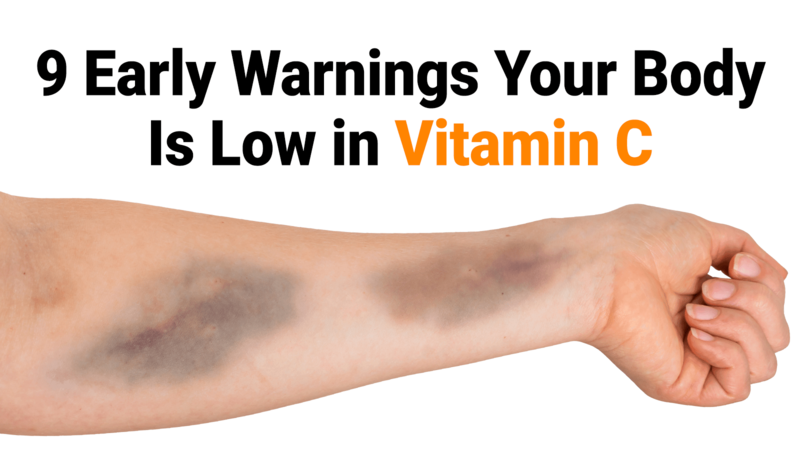 Now, you have an explanation for it – your body probably lacks vitamin C. According to the University of Michigan Health Systems, bruising might also indicate an underlying health condition. Experts recommend that aside from eating foods rich in vitamin C, take daily supplements of about 400 mg “C” along with 400 mg of flavonoids. 6. Your wounds heal slowly. Do you have cuts or scrapes that have lingered for weeks? Have you gotten surgery and still feel some tenderness around the wound? It might not be healing fast because you don’t have enough vitamin C that helps the connective tissues bind with the wound. “C” has an important role in tissue repair, as per the Journal of Dental Research. It can also prevent infection of wounds. 7. You have painful, swollen joints. Joints that swell with pain could be inflamed. This is common for those who suffer from rheumatoid arthritis. According to the Arthritis Foundation, people with low vitamin C levels have three times the risk of developing this disease compared to those with a regular Vitamin C intake. 8. You’re susceptible to colds and flu. Vitamin C helps with the production of white blood cells that attack virus and bacteria. It’s also an antioxidant that protects your cells from infections. If your body is low in “C”, you’re likely susceptible to the common cold, and you’re weak against the flu virus or strep throat infection. 9. You’re in low spirits. Ever find yourself easily tired and in low spirits and you can’t explain why? Vitamin C deficiency has been proven to have psychological links as well. Separate studies in hospitalized patients and high school students with anxiety showed that their mood became more positive by as much as 34 percent after taking vitamin C supplements. The best way to increase your vitamin C intake is by naturally adding this to your diet. 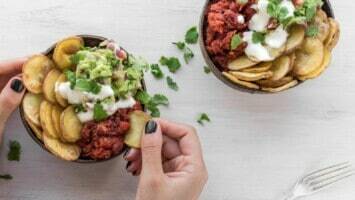 Eat or drink plenty of fruits and vegetables – such as broccoli, capsicum, kale spinach, berries, and citrus fruits – to boost your body’s daily “C” requirements. You get more benefits from eating fruits fresh, instead of juiced or blended. Studies have also shown that overcooking vegetables may reduce their nutritional value. 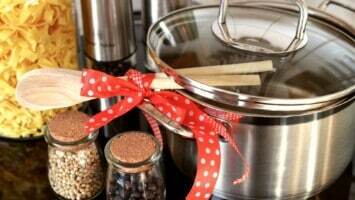 So, make sure to add vegetables in soups and stews when it’s already boiling, and not before.